Multi-cat households post a host of challenges and introducing a new kitty to the brood may not be as smooth as you’d hoped. 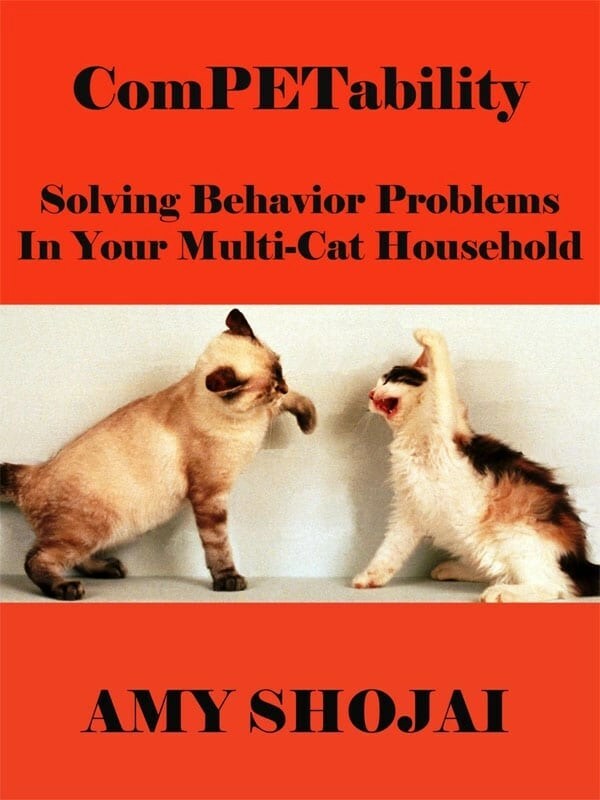 In ComPETability, Solving Behavior Problems in Your Multi-Cat Household, author Amy Shojai does a fantastic job explaining the whys, wherefores and potential solutions to make the kitties at least be amicable towards one another. She covers everything from moving to a new home, introducing a new boyfriends or baby, to bringing in a new kitten. For me, I was particularly interested in the latter because Miss Lilly will soon be joining my household, as kitty number five. She cites one American Animal Hospital Association survey that says 44 percent of pet owners acquired to keep another pet company. With the addition of each new pet, the potential for conflict increases. Bringing a new pet into the mix can alter the dynamics of the entire pet family. For instance the top cat’s dominance may be challenged. Or an older cat or a shy, fraidy cat may be susceptible to more bullying. Interestingly Shojai recommends spending additional time with the resident cats upon bringing a new one in, and they’ll be more tolerant of a little one because their hierarchical position will not be so challenged. As Lilly is only ten weeks old, and is finally at the two-pound mark to be spayed, I’m hopeful the family will adjust well. 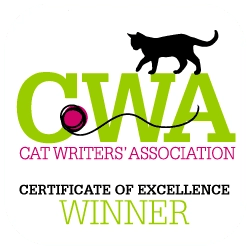 Part One, “Understanding ComPETability outlines the joys of a multiple cat home along with cat-specific details, including how they learn, socialize and communicate, as well as background on behavior modification and training techniques. Part Two, “Common Problems and Practical Solutions” addresses the specifics of aggression, bathroom challenges, emotional issues, feeding concerns, and introductions in multi-cat households. Part Three, “Common Multipet Frustrations,” explains some cat idiosyncrasies that we all wonder about like why cats follow humans to the toilet. It also talks about the top behavior complaints of pet owners, many which could be solved with a little training. Many cats end up relinquished to animal shelters because of these behavioral problems, especially litter box issues. And Vet Alert on when the feline should be taken to the veterinarian. Use the L.E.A.S.H. Technique to help make informed decisions about matching the new pet to your existing ones, and evaluating how the long-standing residents are doing. The acronym stands for Lineage, Environment, Age, Sexual Status, and Health. Here she outlines interesting tidbits like the kitties often rule in a doggy home, and it’s a good idea to have no more cats than bedrooms, giving them ample room to have their own space. Creating of vertical space by placing cat trees and perches can help create the space felines need. It’s also a good idea to have at a litter box for each cat, plus one. A medical problem automatically lowers the social standing of a cat. An ill or elderly resident feline likely will lose top cat status to a healthy newcomer. Healthy cats commonly pick on a health-challenged or geriatric pet. Figure-8 harness or small-size dog H-harness and leash. The Scarecrow or Garden Ghost. Commercial product examples of motion-activated sprinklers that can keep unwanted animals out of your yard. She talks about how catnip, vanilla extract or even your perfume can also alleviate stress. Cats dislike citrus which can be used as a deterrent to keep cats from forbidden places like sofas or the kitchen table. There’s a whole section of learning to think like a cat, which I found particularly interesting. Cats born with friendly fathers tend to face life head-on and are not shy. Cats not only inherit their looks and coloring for parents, they inherit personality as well. Ironically she points out that black cats tolerate crowding better than other cats. Proper introductions are the single most important step you can take, to ensure your pets will get along. 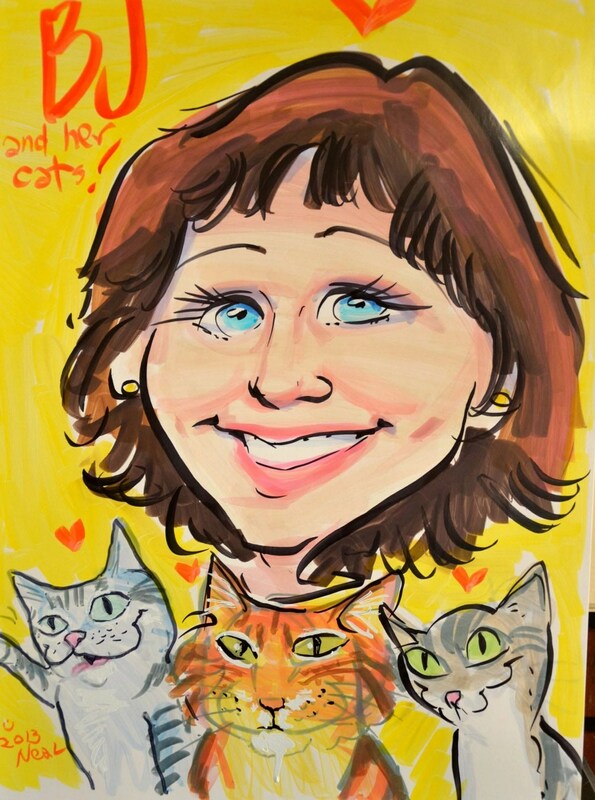 With kittens, she recommends the Three T’s –Touching, Talking, and Timing. Using their name is important when talking to them. Cats should learn their name as well as an overall name like kitty, so that if need be, you can gain their attention. Praise works better than punishment so look for positive reinforcement. And kitty must be praised within 30 seconds of the deed. Otherwise, they’ve forgotten and it’s a distant memory. Cats are experts in getting their way, so the best way to deal with the cat that wants you up at 4 am for breakfast is to ignore them. Negative attention is better than none. Felines smell is 1000 greater than ours. There are 16 different feline vocal patterns. Little is understood about purring which happens from birth. But a cat may also purr when dying. Cats only need one sixth the amount of light that humans do. Each hair on a cat originates deep in the skin next to a nerve receptor. No wonder removing mats is so stressful for them. I found myself highlighting endless portions of the 88-page book for further reference, and even putting sticky notes in places that I really wanted to refer to. While I’d heard about Pheromones, I admit I know little about them. If Lilly’s intro doesn’t go smoothly, I may try Feliway, which Shojai says help resident cats feel like everything is safe. The importance of training cats in short sessions, even as limited as five to 15 seconds are important. Having carriers around the house for felines to investigate helps them get used to them, and not scurry away in fear to a hard-to–get hiding place when they need to go to the vet or be rescued in the event of an emergency. The amount of information in this book is unbelievable, even for someone who knows a tad or two about felines. She goes into group behavior, feral cat clowder society, aggression, creating a time-out for the bad kitty, having safe rooms for more timid kitties or new ones to retreat to, and much, much more. For anyone that has more than one cat or is thinking of adding a new feline to the group (this can include dogs as well, though Shojai has a more detailed book about dog and cat households, ComPETability, Solving Behavior Problems in Cat-Dog Household) this should be an absolute must reference. It’s more than a quick read. It’s loaded with info that you’ll want by your fingertips as the dynamics of your feline household change for day to day and year to year. Amy Shojai, CABC is a certified animal behavior consultant, vet tech, and nationally known authority on pet care and behavior. 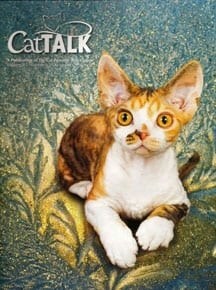 She is the author of more than two dozen award-winning nonfiction pet books and over a thousand articles and columns. ComPETability, Solving Behavior Problems in Your Multi-Cat Household, is available on Amazon. Have you experienced problems when introducing a new kitty to the pet mix in your household? Please share what happened and how you overcame or didn’t overcome the ensuing issues. Thanks for the thorough review! I need to catch up on Amy’s books. Wow, BJ, thanks for the awesome review! You rock!